This is a beautiful, mirror-polished steamer in the classic Domus shape. A high quality product, the thick "hot forged" base ensures even heat distribution around the steamer, and the metal handle means that it is oven proof too. 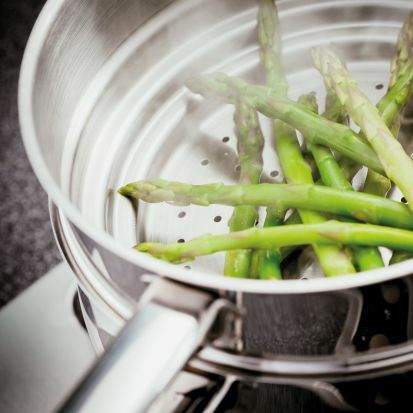 The stepped bottom mean it can be used as a steamer with the 16cm, 18cm or 20cm pans, making cooking decisions simple. 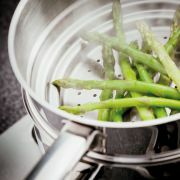 It can also be used as a colander, with the long handle making it safe and easy to use.